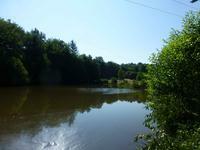 My area spans over the north of the Correze and into the South east of the Haute Vienne, Limousin. These 2 areas are also neighbours of the Dordogne and along side the delights of the Limousin its a great place to live if you like to live somewhere less touristy but have the most amazing places to visit on your doorstep. Im really lucky to have some beautiful villages and town in my sector and at the heart of this is Arnac Pompadour; with its magnificent chateau overlooking the horse racing hippodrome. I have fallen totally in love with my area and everyday I discover something new whilst Im out visiting houses. Im looking forward to meeting you and helping you start a new chapter of your life in France! I have lived in the Corrreze department of the Limousin with my children for over 10 years now and honestly it is the best move I have ever made. In the Uk I was a bar manager for a large chain and since living in France I have set up my own cleaning business. I am still a tourist and love discovering new parts of France... the mountains, the beaches, the lively town and the beautiful little villages. I love the pace of life here, where family and friends come first and nobody care what you have or dont have. I have been welcomed into my French community and have loved learning the language . 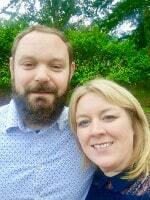 My partner is French and I have enjoyed becoming part of their family culture. I love my job as a Leggetts agent commercial and the challenges it brings and especially that I get to help people find their dreams; just as I have found mine. Another day in Paradise ! Here is the chance to own and run a successful camping and accomodation retreat in a peaceful, idyllic countryside location in the South West of France. 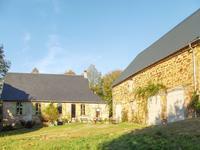 With almost 7 hecatares of land, a stone built country house with character, a large 4 . . . In a spectacular position the property is surrounded by elegant "exterior rooms" in the form . . .
Beautiful lakeside property standing in its own grounds of nearly 2.5ha, made up of parkland and grazing, so an ideal equestrian property. 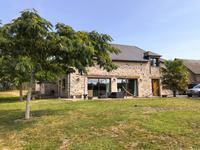 The house is situated in an idyllic, totally private position. It is in excellent condition . . . Stunning property !! This incredible barn conversion is full of character and decorated beautifully. A perfect family home in the countryside. 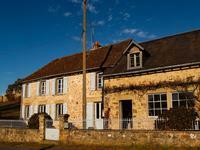 Set in a hamlet in St Priest Ligoure, Haute Vienne, this beautiful stone property has kept . . .
Lots of scope here to live in one appartment and rent the other, either on a long term basis, . . . Beautifully restored house, spacious living accommodation, enough land for paddocks or self . 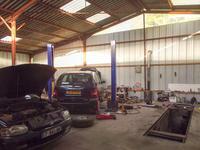 . .
A Mechanics dream house ! Or are you a classic car collector? 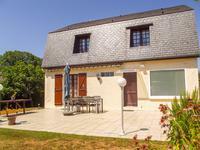 Ready to go business with a 3 bedroom house set in the countryside of the Haute Vienne. A lovely 3 bedroom family home which, with a little bt of finishing off, could become 4 . . . 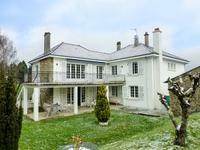 Whether you are looking for a stunning family home or the chance to run your own business . . . 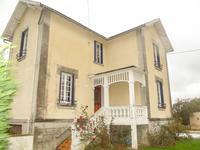 In the village of Beyssac, 5km from Arnac Pompadour, we find this 3 bedroom house with a . . . 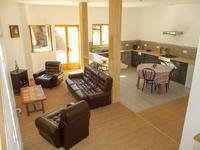 In the heart of a little village, only 10kms from Lubersac, the main house stands with the . . . 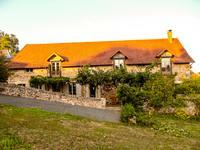 Incredible hamlet setting with far reaching views for this four bedroom property, with 1.8ha . . . This is a great property for those looking to buy, move in and start a business or for those . . . This is a great opportunity!! 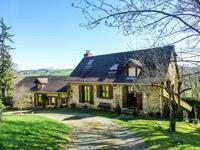 A 4 bedroomed cottage, 2 large barns and a piggery which is . 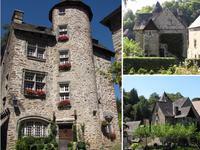 . .
A traditional Corrèze 5 bedroom stone house in the historic village of Segur le Château. 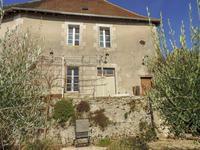 This well maintained house is situated in the most beautiful village of Segur le Château, . . . 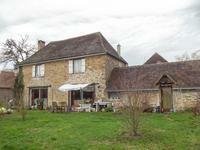 Interesting old stone house, 4 beds, walking distance of town centre, with an enclosed garden and lots of original features. 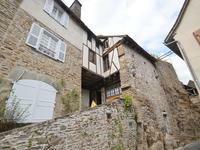 Situated on a quiet lane in St Yriex la Perche this ancient house even comes with wall slits . 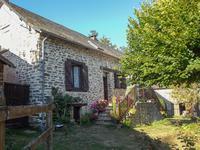 . .
Charming 3 bedroom house in a quiet hamlet in the Haute Vienne. 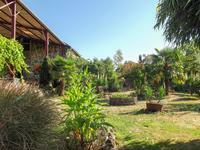 Spacious with a large garden and fish pond. 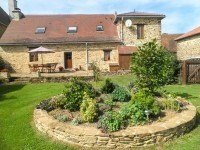 In the heart of the Limousin, 30 mns south of Limoges, this lovely welcoming home has a . . . 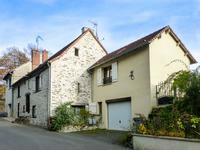 Beautifully renovated 3 bedroom house on the edge of Lubersac in the Corrèze. 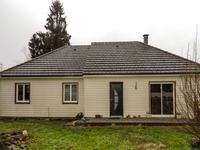 3 Bedroom house with spacious gardens containing mature trees. Close to all the amenities in . . . 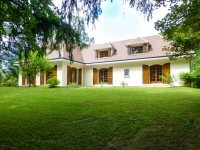 Typical périgourdine house built in 1983 with garden close to center of town. Great location for this well maintained house with 8 bedrooms two bathrooms, 2 mins walk into . . . This is a good, solid 1970s property with a Mansard roof with simple yet elegant decoration. . . . 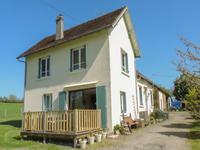 Spacious detached 3 bedroom house with garden in a quiet area of Lubersac in the Corrèze. A lovely family home in a sought after suburb of Lubersac, within walking distance of town . 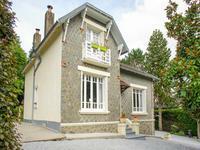 . .
Charming 4 bedroom character family town house in St.Yrieix la Perche in the Haute Vienne. 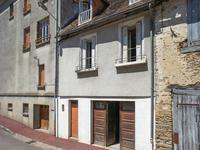 A large 3 storey stone town house fully renovated, centrally heated, double glazed, in the . 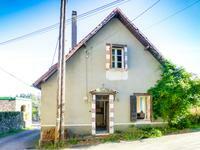 . .
Close to the centre of Lubersac village this is a house with a wealth of character. The . . .
A real bargain !! 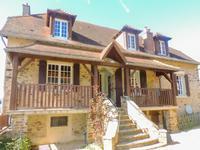 A fabulous 6 bedroom house in the Haute Vienne countryside. Great for a family or the possibility to use as a Chambre d'hotes. 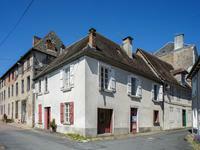 On the edge of a busy market town, only 40 mns from Limoges this is a warm and welcoming . . .
All the hard work has been done by the present owner on the lakes to secure the PVT licence . . . 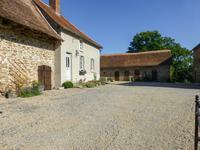 Fancy owning your own bed and breakfast in the heart of the "Cité du Cheval"? There is so . . . This well maintained 3 bed house could be a perfect family home, holiday home or investment . 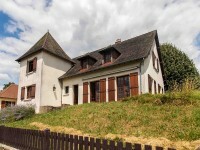 . .
Only 1.5km from the village of Dournazac, 7.4ha of land consisting of woodland, pasture and a . . .
With a little bit of updating this would make a lovely family home in a great location within . . . 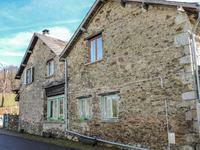 This beautiful stone cottage would also make an excellent permanent residence, very cosy in . . . 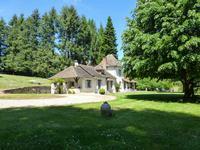 This is such a lovely property situated in a rural part of the Haute Vienne. With a large . 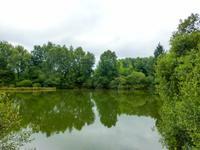 . .
Beautiful lake and two smaller ponds, nearly 4ha of land with some wood, and yet only 7km from St Yrieix la Perche and 37km from Limoges. Perfect for weekends or holidays, totally private, yet not too far from amenities and good . 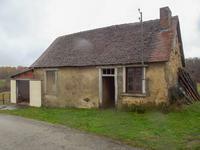 . .
Great potential here to complete this classic town property. The kitchen and bathrooms are . . .
Large town centre property, previously run as a very successful florists, but great premises for any town centre commercial venture, including a two bedroom appartment. 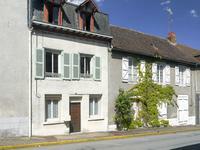 The property is situated in St Yrieix la Perche, a thriving town with all amenities including . . . 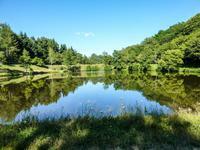 Stunning lake of 1.8 hectares, surrounded by fields and woodland in a serene location. Crystal clear water, woodland, fields and a peaceful environment - yet only a few km from a . . .
A well presented family home, situated just off the main street, renovated to a high standard . . .
Large & spacious! 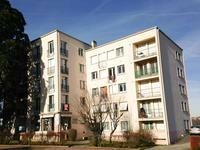 2 bedroom first floor appartment with balcony, easily made into 3 bedrooms, in Limoges. Close to the centre of town and with all amenites close by. Parking space included. 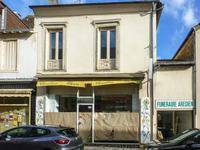 Great appartment just outside of the centre of Limoges in a popular residential area. Great . . . 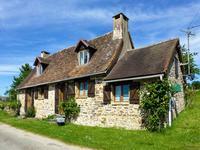 Unusual half-timbered stone house, full of character and history, and situated in one of the . . .
10 bedroom former hotel in Lubersac. 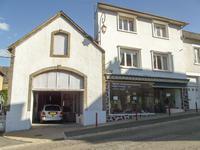 Situated on a medieval street close to the heart of a busy market town, this is a business . 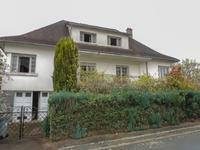 . .
Well maintained village house in Coussac Bonneval with separate plot of land. 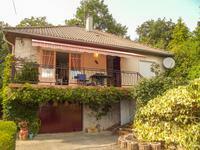 A well maintained village house in the popular village of Coussac Bonneval and a short walk . . . 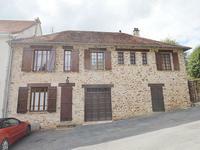 Located in the centre of the village this house could offer not only good living . . . 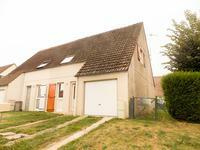 This property offers those looking for a village house either as a permanent home or as . . . Here is the chance to change this empty shell of a house into something special. Possibility . . . 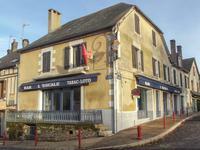 This building plot is in the centre of the lovely village of St Julien Le Vendomois. The . . . 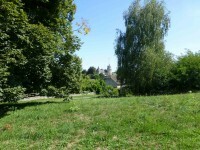 This beautiful elevated plot situated in the chateau village of Coussac Bonneval is within . . .